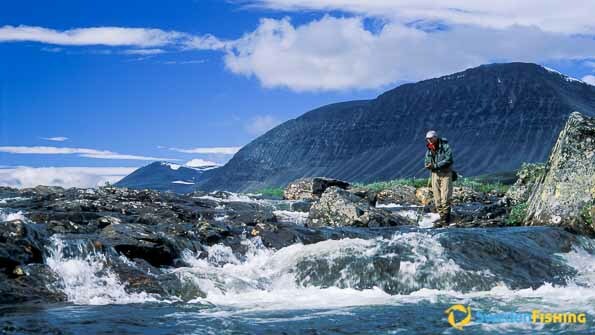 Northern Sweden is an enormous land area with uncounted lakes, rivers and jokks, Sami for creek, all offering world-class fishing in a fascinating setting. The harsh massif, the magnificent alpine tundra, the immense taiga or boreal forest reaching down to the coast and the archipelago in the Gulf of Bothnia all join to give the landscape its special cachet. There is no counterpart in Europe for the combination of this outstanding nature experience linked to high-class fishing, making the area a unique fishing destination. The area is rightly called the last European wilderness. “Native to this region, the Sami have long lived and worked here, with herding reindeer and fishing as their main sources of income,” relates Anna. “They are still highly active and offer many chances for visitors to learn about their culture and their way of living.” The alpine environs in the western parts of northern Sweden must be experienced. As you leave the boreal forest towards the higher terrain, you come into a low-growing birch forest prior where the bare tundra opens with low or no vegetation. 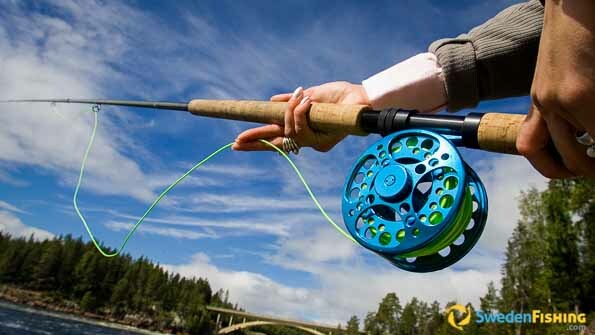 The forest lakes offer excellent fishing for trout, grayling, pike and perch. Summer nights in Lapland are seldom completely dark and the days can be nice and sunny. Northern Sweden boasts some of Europe’s largest unregulated rivers, ones that run freely from source to the coast. They are the Kalixälven, Torneälven, Piteälven and Vindelälven rivers – mighty waterways that start as mere creeks and rivulets in the alpine heights and end their runs in the Baltic Gulf of Bothnia. 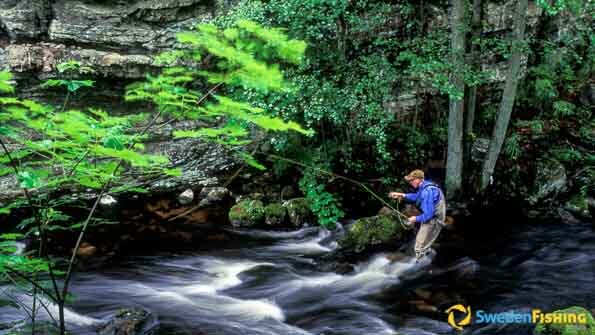 In their upper reaches grayling and brown trout dominate, in their lower flows closer to the sea you find salmon and sea trout.